Is this the new Pebble? Pebble has teased a new smart watch on their webpage last week and today we’re seeing anew image of the alleged watch surfacing online. It’s not actually anything interesting to look at to be fair, as it actually looks rather odd with the yellow e-ink display. 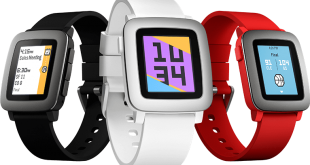 Pebble has teased the smart watch having a new color display and a few new features. The image was actually leaked bv Pebble, as it was picked up on their serves by 9to5Mac earlier today. The new Pebble smart watch should be revealed tomorrow, when the timer on the website expires and we’re honestly hoping that the leaked image is not of the real device, because it’s not looking innovative, new or special for that matter. The new Pebble is advertised as being thinner, but from the leaked image, we can see it’s also got bigger bezels and smaller buttons, which isn’t exactly something we like in a smart watch. It looks bulky and old-school, so Pebble might not be reaping success with this one if the image is real. Moreover, third-party apps will still not be supported by the watch, which is an absolute bummer. The specs aren’t as disappointing as the design, though, so we’re definitely looking forward to tomorrow’s announcement. 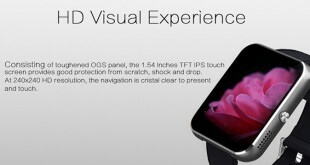 The Pebble watch will most likely come with a Cortex M4 processor and have a week-long battery life, or more actually. 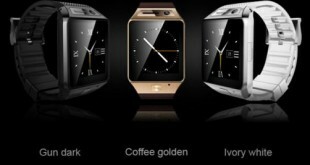 The watch will also have a 6-axis gyroscope and a new colored e-ink display to make it rather interesting to use. Pebble had emphasized the new OS more in recent statements to news outlets around the world, saying that the team behind WebOS has been working hard to refine and redesign the Pebble OS. Reportedly, the new OS will have more focus on notification delivery, as well as animations, so we’re definitely curious. With the wearable market in constant expansion, we are wondering how Pebble will counter offerings ranging from the Apple Watch, Moto 360, LG G Watch R, Asus ZenWatch and the LG Watch Urbane to smartbands from Microsoft, Lenovo and Sony. Pebble certainly needs to do something worthy of hype and attention with the new smart watch, because the Apple Watch is closing in, as it should be launched in April this year. Stay tuned to find out how the real Pebble watch will look like tomorrow!